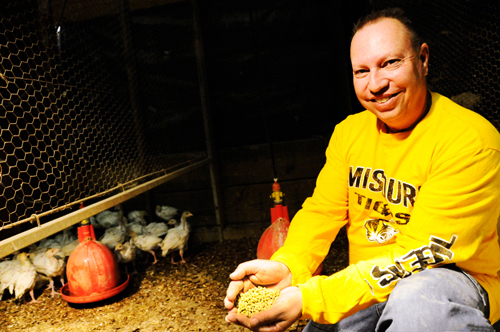 U. MISSOURI (US) — Scientists have developed a less expensive turkey feed that could save the industry more than $100 million. Feeding turkeys accounts for 70 percent of the cost of producing turkey meat. The new feed, known as the Missouri Ideal Turkey Diet, has the same nutritional qualities as typical pellet feed, but at a cost of $13 to $25 per ton less, a reduction of eight to 10 percent. Turkey nutrition has changed little over the past 25 years, but feed costs have increased. Feed is typically made with corn and soybeans, which have increased by one-third or more in price. While such increases have boosted production costs of white meat and giblets, retail price pressure isn’t letting producers pass the cost to the consumer. Turkeys eating the new diet receive the same feed ration as turkeys eating traditional feed. Firman reduced production cost by finding the exact amount of amino acids necessary to maximize turkey growth. He was then able to reduce the usage of more expensive proteins and increase use of less expensive grains. To test the feed, 800 turkeys were put on the diet. The birds met health targets and reached market weight within 18 to 21 weeks. Firman has tested the feed through several studies over the past three years. The formula is available to the industry through presentations and publications. Producers create their own feed based on available feedstuffs with the guidance of computer-formulated diets using data from Firman’s lab. Producers can also change the diet as birds mature to meet the growing turkeys’ nutritional needs.